Lisbon (HAN) May 24, 2014. HAN Sports Already the most successful club in European Cup history, Real Madrid CF have claimed their tenth title following their victory over Club Atlético de Madrid at Lisbon’s Estádio do Sport Lisboa e Benfica. The Spanish team lifted the trophy for the first time since 2002 by beating their neighbours in Portugal to move three clear of AC Milan, who landed the top prize in club football for a seventh time in 2007. FC Bayern München and Liverpool FC each have five successes, one more than FC Barcelona and AFC Ajax. 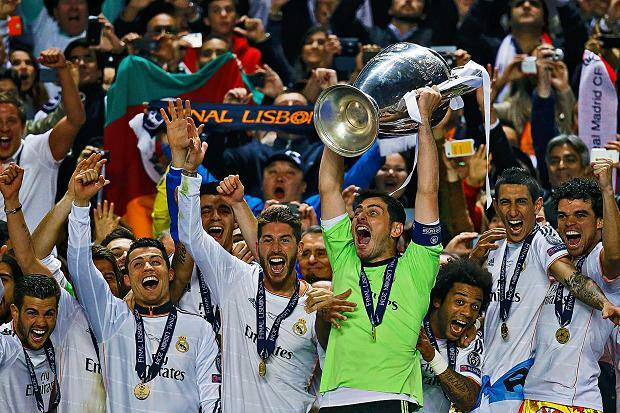 Saturday’s Lisbon showcase marked Madrid’s 13th final, with Milan (11) and Bayern (10) next on the list. It was also Madrid’s fourth triumph of the UEFA Champions League era, following wins in 1998, 2000 and 2002. Atlético’s defeat in Portugal means they missed the chance to become the 23rd side to get their name on the trophy – they join Stade de Reims (1956, 1959) and Valencia CF (2000, 2001) as the only clubs to lose more than one final without ever securing the silverware.